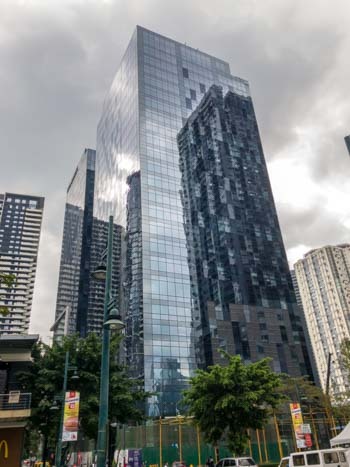 Rising up to 24 floors, the building, a project of Focus Palantir Inc., is the twin of Twenty Four Seven McKinley. It will feature 2 basement and 6 podium parking levels. Office spaces will go from the 8th to the 24th floors. The overall look is almost exactly like Twenty Four Seven McKinley. Twenty Five Seven McKinley is located along 7th Avenue, cor. 25th Street, near Bonifacio High Street, and The Fort Strip.